The Club’s 2019 lunch programme launched yesterday, Thursday 8 February 2019, with an address from Robert Sinclair, CEO of London City Airport. Members and their guests enjoyed an informative presentation from Sinclair as he outlined the future plans for London City Airport, the importance of the Aviation industry to the UK economy, the sustainability challenge and touched on airport anti-drone technology systems. Sinclair admits he is ‘concerned’ as the clock ticks toward 29 March. ‘Our industry is high profile and should not be used as a political football’, he said, adding ‘any threat to the aviation industry is a threat to the overall economy of the UK’. 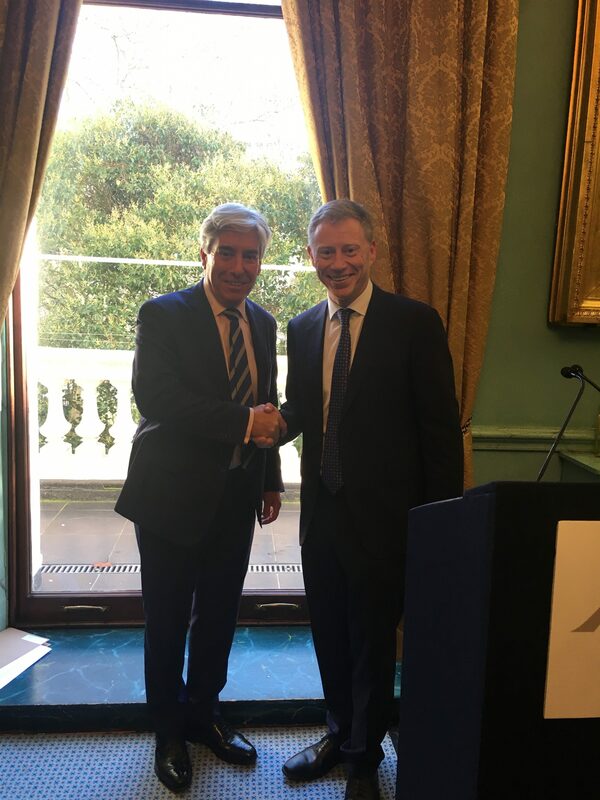 He went on to talk about the massive expansion and refurb plans for London City Airport, which include an external terminal building, enabling it to serve two million more passengers a year by 2025 and a new digital air traffic control system. London City is the first UK airport to replace its air traffic control tower with a remotely operated digital system. Instead of sitting in a tower overlooking the runway, controllers will be 120 miles away, watching live footage from high-definition cameras. The new system will now be tested for a year before becoming fully operational in 2019. © 2019 The Aviation Club UK. All rights reserved.